Mark your calendars to join us for the Walk to End Epilepsy on May 4th, 2019 at George Wyth State Park in Waterloo, Iowa! Watch our Facebook page for announcements! 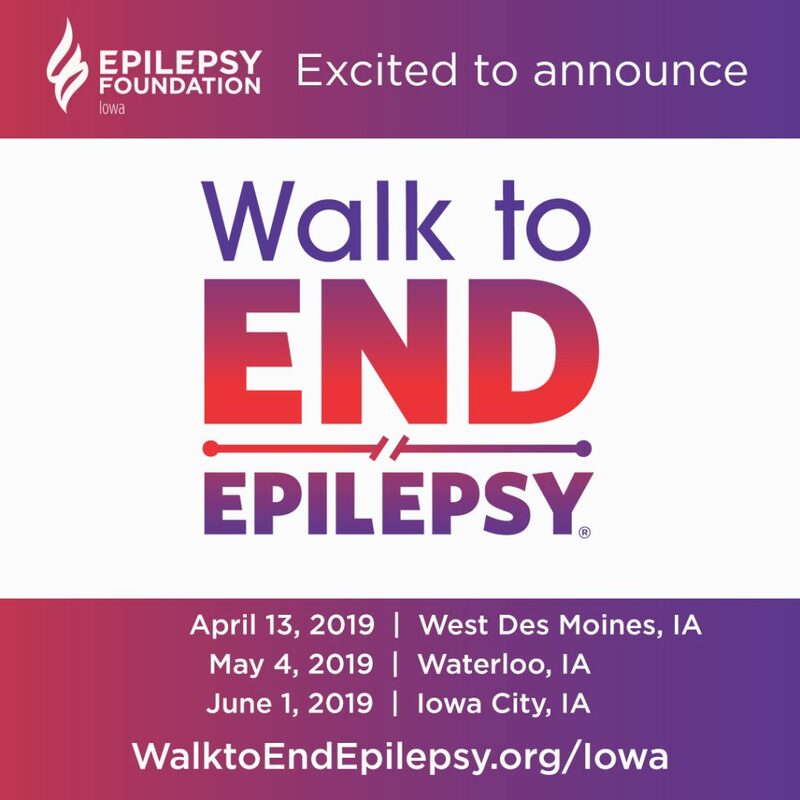 #WalktoEndEpilepsy Iowa 2019 – Waterloo is an event organized by the Epilepsy Foundation of Iowa. Come together and join others to raise money to help support the services and programs for people living with epilepsy in Iowa! Be ONE of the first 26 teams to raise $1,000 and be recognized at the event as part of the “Grand Walk Club”! This is your opportunity to impact people’s lives by raising funds as a team in honor of your loved one for people living with epilepsy in Iowa. Create a team and a fundraising page from this registration site. The last day that paid registration ensures a t-shirt in your noted size is March 30th. Register by midnight and your shirt will be waiting for you at our walk! Scholarships are available for families and individuals who would like to participate in the walk, but are unable to pay the registration fee. Please call the Epilepsy Foundation’s Iowa office at 515-282-3580 for more information. THANK YOU FOR YOUR SUPPORT!